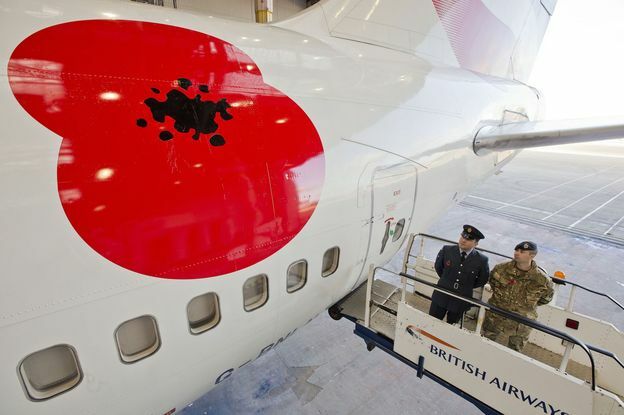 To commemorate the contribution of British and Commonwealth servicemen and women in the two world wars and later conflicts, British Airways poppy tribute includes a British Airways 747 adorned with a giant poppy. In the centenary year of the beginning of the First World War, the 8ft by 8ft poppy will be displayed on the aircraft as it flies to numerous British Airways destinations around the world. 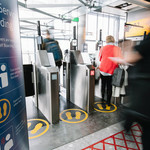 Keith Williams, British Airways’ executive chairman, said: “We are honoured to pay our own tribute to the millions who have fought for their country during the last 100 years. The decision to display the poppy is particularly poignant for the many reservists currently employed across the airline. British Airways will asking customers and colleagues to observe a period of silence at 11am on Remembrance Sunday on November 9 and Armistice Day on Tuesday November 11. During both periods, British Airways pilots at UK airports will not start aircraft engines. British Airways staff, along with current servicemen and women, will be selling poppies at Terminal 5 and at British Airways’ facilities around Heathrow during London Poppy Day on October 30.